ASTANA -- Kazakh President Nursultan Nazarbayev Tuesday (March 19) resigned after three decades of ruling Kazakhstan, Radio Free Europe/Radio Liberty's Kazakh service reported. Nazarbayev, 78, announced his resignation in a nationally televised speech. "This year will mark 30 years since I took the highest post [in the country]," he said, according to the BBC's Russian service. "The people made it possible for me to be the first president of independent Kazakhstan." 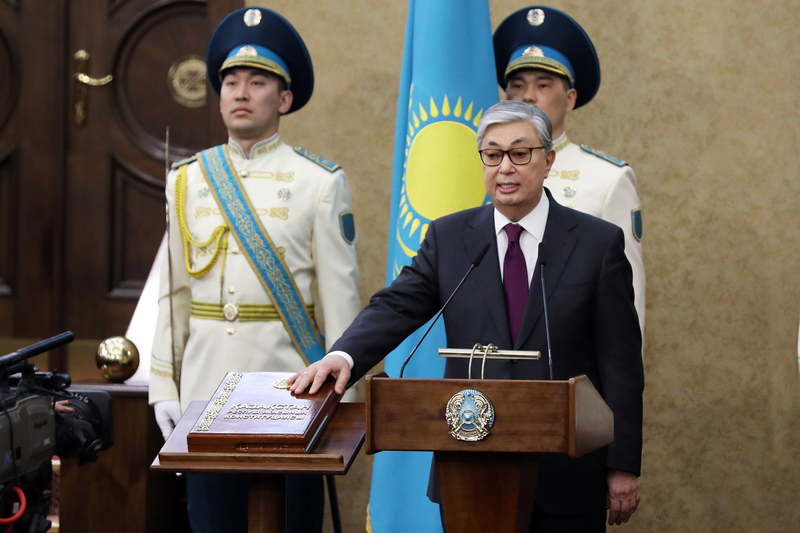 Senate Speaker Kassym-Jomart Tokayev will become acting president, according to the BBC. Nazarbayev was the last remaining leader in the former USSR who took power during Soviet times. He became general secretary of Kazakhstan's Communist Party -- the de facto ruling post in the then-Soviet republic -- in 1989. The parliament named him Kazakhstan's first president in April 1990. Even after leaving the presidency, Nazarbayev remains the constitutionally enshrined Leader of the Nation and the lifelong chairman of the country's Security Council, according to AFP.